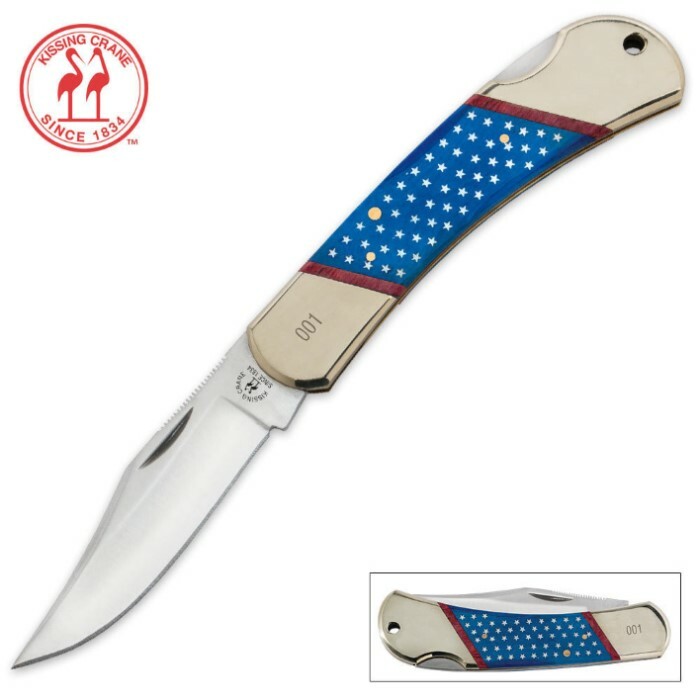 Kissing Crane Old Glory Independence Lockback Folding Pocket Knife | BUDK.com - Knives & Swords At The Lowest Prices! 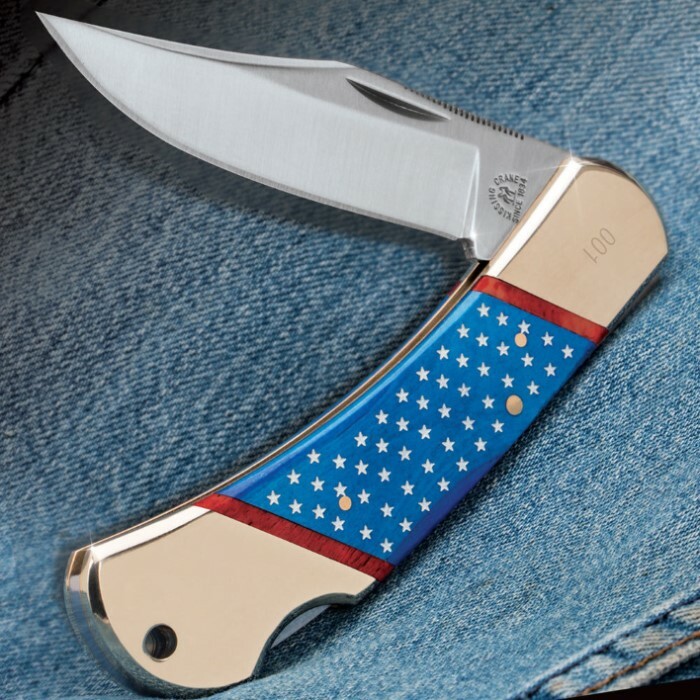 Add some stars and stripes to your pocket knife collection with Kissing Crane's new Old Glory Independence lockback knife. This folding pocket knife features a 440 stainless steel clip point blade with a thumb nick and jimping on its spine and a razor-sharp 3-1/4" edge. 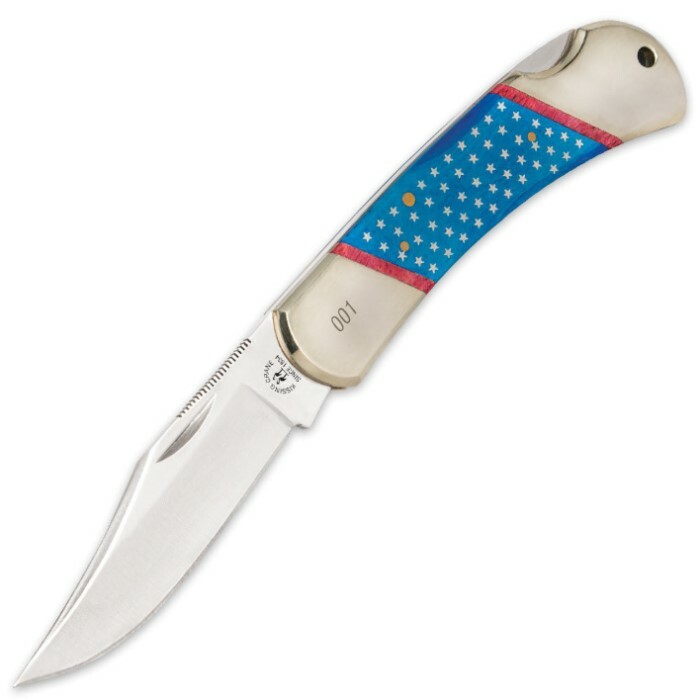 The genuine bone handle incorporates red, white and blue stars and stripes patterns giving this Old Glory Independence lockback its signature. Elegant nickel silver bolsters and brass liners complete the design. Each one is laser serialized for collectiblity.